On this very special episode, Zac and Ben are joined by their friends Dominic Jones and Chris Seekell from The Star Wars Underworld to finally break down the long awaited film, Rogue One: A Star Wars Story. 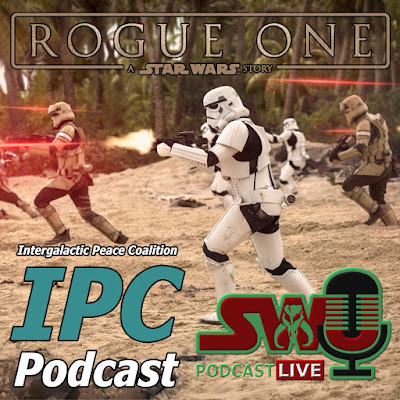 On this epic, annual crossover the guys come together to work their way through plot of Rogue One, from beginning to end, and discuss what they loved, and what they didn't. Did it work without an opening crawl? Did we learn enough about the new characters? And did [SPOILER] and [SPOILER] look realistic enough? They cover it all and more. Plus, for #BBQWatch, they discuss the best planet to have a cookout on. You don't want to miss this incredible episode!